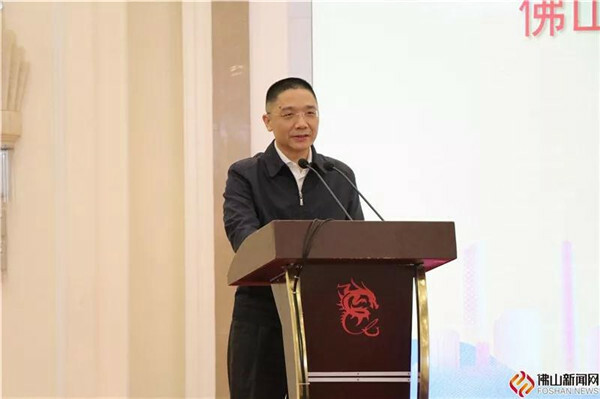 On March 28, the 2019 Guangdong Film Annual Meeting was held in Foshan. 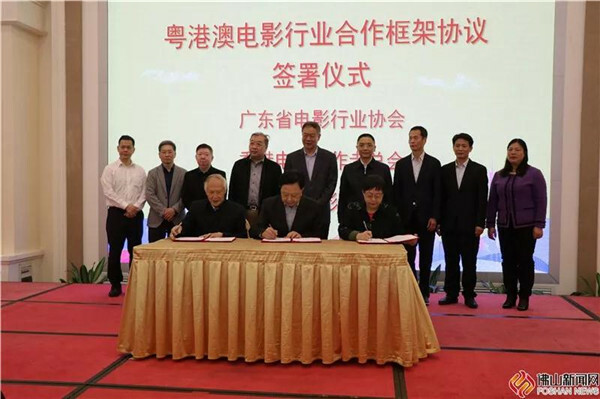 Guangdong Motion Picture Industry Association, Federation of Hong Kong Filmmakers and Macao Film & Television Association jointly signed the Framework Agreement for Cooperation in the Film Industry of Guangdong-Hong Kong-Macao Greater Bay Area, promoting the development of film and television industry in Guangdong, Hong Kong and Macao. In addition, the Southern Film and Television Center·321 Start-up Network was officially launched at the annual meeting. In 2016, the Southern (Guangdong·Foshan) Film and Television Center settled in Foshan. 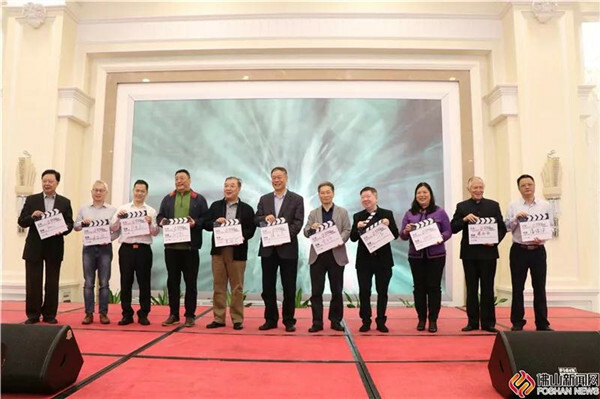 For more than two years, Foshan has attached great importance to the development of the film and television industry and taken it as an important breakthrough in the construction of Guangdong-Hong Kong-Macao Greater Bay Area. Up to December 31, 2018, Foshan has 135 cinemas, with a total movie box office of 713 million yuan and a year-on-year increase of 4.4%. Zhang Pi’min, Chairman of China Film Foundation expressed, Guangdong-Hong Kong-Macao Greater Bay Area has given filmmakers a very good opportunity, and filmmakers should conscientiously study the Outline Development Plan for the Guangdong-Hong Kong-Macao Greater Bay Area to achieve the purpose of "based on Guangdong, Hong Kong and Macao, facing Southeast Asia and moving towards the world." Guo Changyong, Standing Member of the CPC Foshan Municipal Committee said, in order to further implement the Outline Development Plan for the Guangdong-Hong Kong-Macao Greater Bay Area, to further create a good atmosphere for the development of the film and television industry in Guangdong, Hong Kong and Macao, and to promote deep cooperation and integrated development, Foshan is exploring the establishment of "Guangdong-Hong Kong-Macao Greater Bay Area Film and Television Cooperation Experimental Zone". Next, Foshan will adhere to the innovation strategy on policy, system, service and industry. 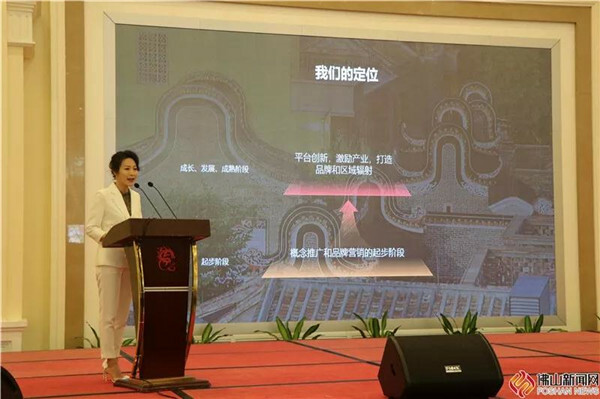 Taking the "3+5+X+1" as the strategic layout, Foshan will also build three comprehensive film and television bases, 5 characteristic film and television cluster areas, a number of film and television derivative industries and one gold tourist line with the theme of film and television. On the spot of the annual meeting, Southern Film and Television Center·321 Start-up Network made its first appearance. The network is the first one-stop management and service platform of film and television Internet in China. It will provide a series of supporting services for film and television companies by building an industrial fund management platform and integrating national film and television industry resources.